the 2005-2006 Individual Sectional Tournament at Leyden High School. Here is a list of some of the former OPRF Huskies and their post-high school accomplishments. If you have information that you would like us to add, please email us. All alumni information is welcome including college participation, tournament results, and coaching responsibilities. Non-wrestling athletic achievements are also welcome. - 2015 US Judo Association's "Most Outstanding Athlete"
Brad Bolen (OPRF 2007) places 1st at the 2010 Pan Am Games in the 66 kg division. The competition took place on April 9-10, 2010, in San Salvador, El Salvador. The photo is by Chris Skelley and was posted on teamusa.org. 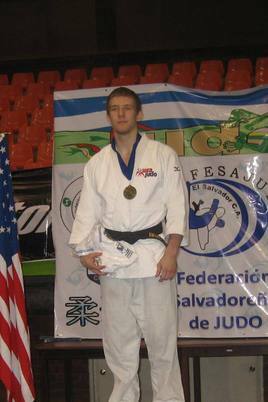 Brad Bolen (OPRF 2007) places 1st at the 2009 USA Judo President's Cup in the 66 kg division. The competition took place on June 13-14, 2009, in Atlanta, GA.
As of September 2009, Brad is ranked #1 in the 66 kg division. 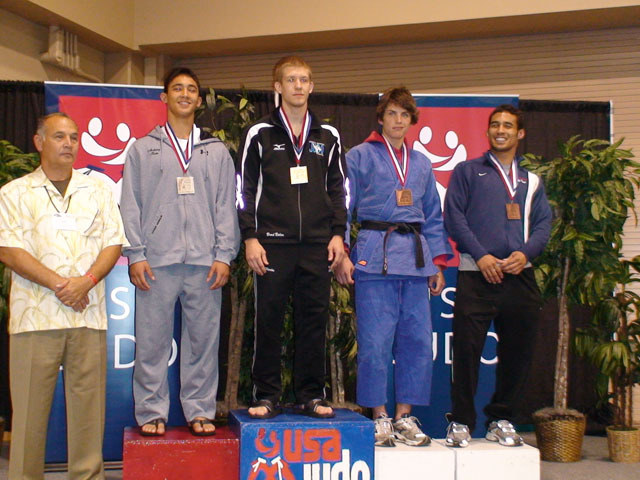 Brad Bolen (OPRF 2007) places 3rd at the 2008 USA Judo Rendez-Vous Canada in the 66 kg division. The competition took place on October 4-5, 2008. Max Brooks (OPRF 2007) is named to the 2008 CCIW Second Team All-Conference while at Illinois Wesleyan. The photo (courtesy of The Pantograph and B. Mosher) took place on September 13, 2008. Peter Kowalczuk (OPRF 2007) places 4th at the 2008 U.S. Olympic Team Trials (Greco, 120 kg / 264.5 lb). The competition took place on June 13-15, 2008.